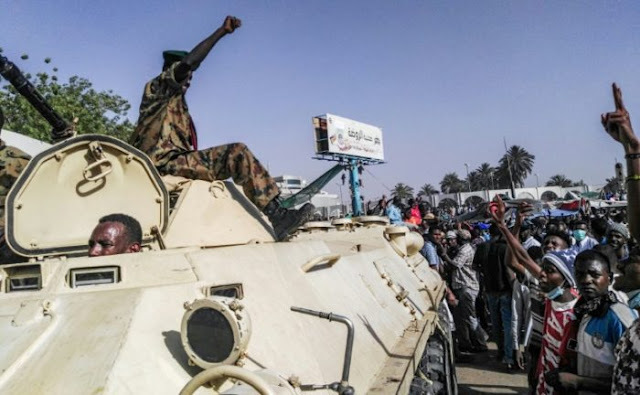 In a possible coup move, Sudan’s army deployed troops around the defence ministry, while soldiers and security agency personnel were deployed on key roads and bridges in Khartoum early on Thursday, as thousands of people flocked to an anti-government protest outside the ministry. And witnesses said many army vehicles carrying troops were deployed in the centre of Khartoum early Thursday. The army had on Tuesday aborted attempts by security agents to disperse the crowds when soldiers countered their volleys of tear gas by firing in the air, witnesses said. Sudan’s police also later ordered its forces not to intervene against protesters.